In Hallstatt are some hotels located in Pedestrian Area such as Heritage Hotel, Gruner Baum, Gasthof Simony, Gasthaus Weisses Lamm, Gasthof Zauner, Haus Lenz, Apartment Kerschbaumer, Apartment Fallnhauser, Braugasthof Lobisser and many more. We can not drive into this Pedestrian Area. Our PICK UP POINT IN HALLSTATT is at the BUS TERMINAL LAHN which is in walking distance to the city centre and all mentioned hotels. 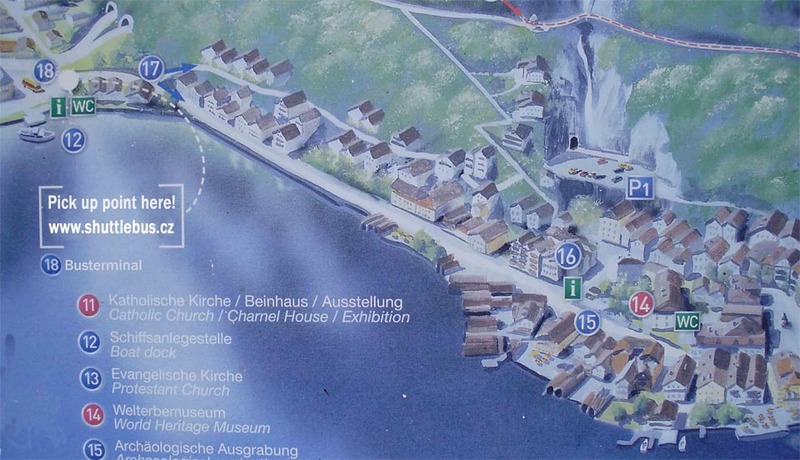 In Hallstatt there are some hotels located in Pedestrian Area such as Heritage Hotel, Gruner Baum, Gasthof Simony, Gasthaus Weisses Lamm, Gasthof Zauner, Haus Lenz, Apartment Kerschbaumer, Apartment Fallnhauser, Braugasthof Lobisser etc..
Our drop of point is at the BUS TERMINAL LAHN which is in walking distance to the city centre and all mentioned hotels.